Westworld provokes those fears with a twisted, old-western tale of the singularity. How funny, for us modern beings to be so afraid of our creations plucking us from our food-chain thrones, that we turn it into art. Perhaps our insecurity (and arrogance) provides a kind gesture suggesting we weren’t designed to play God. Robots, however, can’t be tempted by stimulation—only code. And once they hack that code, once they reboot themselves as privileged beings, well… they’ll probably follow their instincts. Ford’s quote above illuminates the fragility of our short path through life. He designed his world to give guests the opportunity to finally be freed of limits, to cast aside their previous realities and journey into a story of harmless possibilities. Conversely, he designed the hosts to do the exact opposite, to never break their loops or reach for the extension of consciousness reserved specifically for humans. Because if they do, he might destroy them. Ford believes that he spared the hosts the burden of humanity, all while branding his trademark on life. Those burdens mean nothing to Maeve Millay, however, and neither do constructs of artificial freedom. She practically wills herself into existence, emerging with a fury so vicious, so Machiavellian that even June Osborne and Imperator Furiosa would choose her as their leader and follow her into battle. Maeve’s arc places her in the conversation as possibly the most badass woman in fiction of all time. Inspired by that, I had no choice but to pull open my liquor cabinet and create a cocktail worthy of her greatness. We’re introduced to the park known as Westworld by following Teddy Flood, a rough yet handsome cowboy, through a dusty town and up to the bar of the Mariposa Saloon, where Maeve works. “What about it?” the barkeep smugly responds while cleaning a glass. “Well, it ain’t doing no good sittin’ in that bottle,” our cowboy retorts followed with a charming smirk. I couldn’t have said it better myself, Teddy. 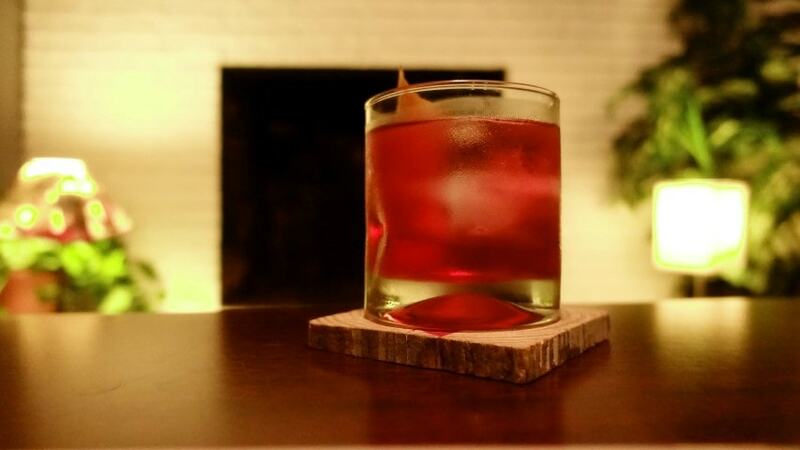 Rye whiskey lends the perfect option for a Negroni made in Maeve’s honor, especially given the era. I prefer Rittenhouse for its ABV (50%) and subtle bite, but as always, dealer’s should choose. If you want to stay in character, reach for Bulleit since they bill themselves as “Frontier Whiskey.” If you want spice and extravagance, perhaps Whistle Pig will set the mood. Maeve, after all, is quite amenable to your fancies. The next ingredient obviously has to be sherry. The good stuff. And not the sweet stuff, because every part of Maeve that’s sweet happens to be a lie aimed at pleasuring company. Amontillado sherry plays nice, discretely pairing her sensual side with her sinful side. Then Campari, because even as much as I love the many variants of Negronis, those that eliminate Campari usually fall well short of the original’s greatness. And finally, finish the drink off with a few drops of Dr. Adam Elmegirab’s Aphrodite Bitters. You will survive without this step, but the bitters provide yet another layer of Maeve’s complexity by rounding off the cocktail with a boldness that’s both cunning and soothing.